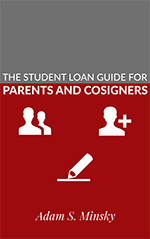 Share the post "Student Loans and Mental Health"
It unfortunately is not uncommon for my clients to confess to me that their student loans have made them feel pretty bad about themselves. People regret going to school, and they sometimes feel that trying to better themselves by getting an education was a terrible mistake. People feel trapped, hopeless, and despondent. And it’s not just because being in debt can make you feel that way. It’s because the student loan system in particular – with its broken loan servicing system, its draconian debt collection methods, and the comparative lack of consumer protections – can be so emotionally taxing to navigate, so utterly exhausting and soul-sucking to deal with, that some people feel like they just cannot handle it anymore. I get it. I’ve lived it. And I continue to live it every day through my clients and their experiences. Things can get really bad, though, when people begin to believe what they hear from the debt collectors. I’ve even had people confess to me that they have contemplated suicide because of their student loans. This breaks my heart, every time. You are not your student loan debt. You are so much more than your debt. Don’t let anyone tell you otherwise. You are a person who has memories, experiences, relationships, interests, likes, and dislikes. You have an education (even if you regret its cost), a favorite food, a friend who you can laugh with, a place you like to go to relax or have fun or get away from it all. You have a favorite color, a favorite movie or TV show, a shirt or a blanket you like to wear on a cold night. You are a person, and your student loans do not comprise your identity. Don’t let your student debt define you. You do have options. 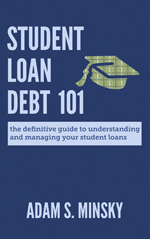 There are ways of dealing with your student loan debt, as insurmountable as it might seem. There are programs to resolve federal student loan defaults, and there are affordable income-driven repayment plans with loan forgiveness safety nets. 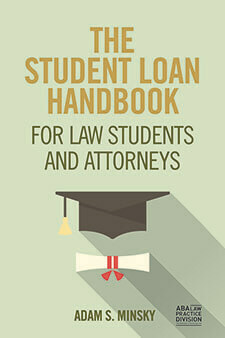 There are defenses you can raise to private and federal student loan collection. And there are limits to what any student loan lender, federal or private, can do to you or take from you. You have rights, and you have options, as bad as things may seem. Things will get better. I honestly do not believe that the current student loan system, in its current form, is sustainable. There’s just no way the economy can continue to function with the levels of student loan debt that continually increase at faster rates each and every year. We will see reform. We will see changes. I don’t know what these changes will look like – and I have no doubt that they will be imperfect in their implementation and uneven in their effects. But I do believe that in the coming years, we will see a general trend of things getting better for student loan borrowers. So hang in there. There are people who can help you. You need food, you need shelter. These things must always come first – how else are you to survive? But don’t ignore your medical and psychological needs, either. If you’re feeling depressed, if you’re having trouble getting out of bed every day, or if you’re thinking about ending it, there are people out there who can help you. Talk to your doctor, or reach out to a counselor. It’s just as important as food and shelter. And your health and well-being are far more important than your student loans. Take care of yourself first. Then you can deal with the student loan debt. As hopeless as things may seem, remember the above – you are not your debt, you do have options, things will get better, and there are people who can help you. While things may seem impossibly tough right now, they just might not stay that way, and you deserve to be around to see things get better.